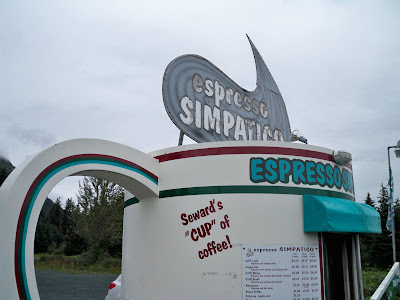 The “Blog” of “Unnecessary” Quotation Marks: the "cup"
Alright readers, I need some help on this one. 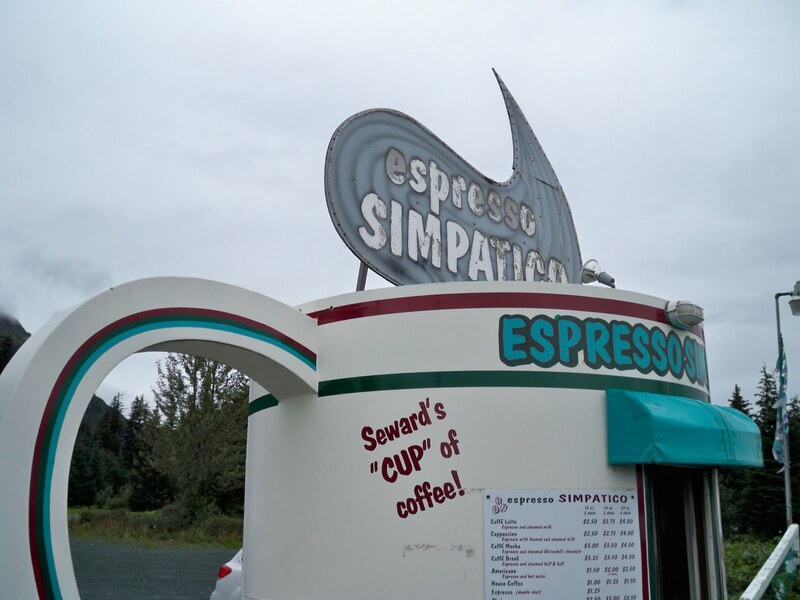 If you're serving coffee out of a giant coffee cup in Seward AK, is it necessary to put quotation marks around "cup?" As far as I'm concerned, stores shaped like what they sell are completely necessary. Thanks, Leif. Personally, I don't have a problem with this one. The store looks like a cup, but is not a cup (the window and door would significantly hinder its liquid holding capability). Further, they do have moor than one cup of coffee to sell, so they aren't describing the product. Would it be wrong to not us the quotes? No. But I actually kind of like them! It's like some bizarre visual onomatopoeia! @nolajazz - OK, I had to look that one up! fair enough, but I don't regret posting it, because it's awesome. It is awesome, Bethany. I love how they think they have made such a fantastic pun, they added the exclamation point! !